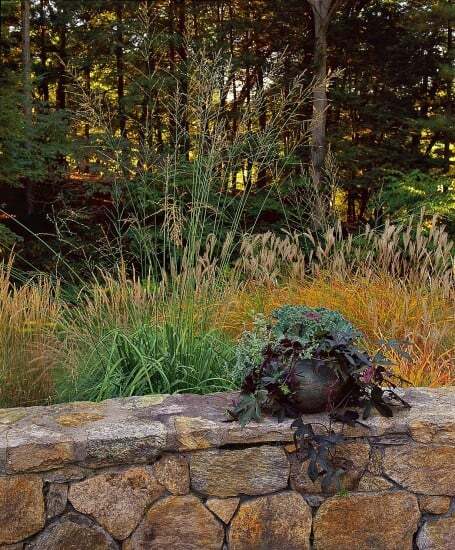 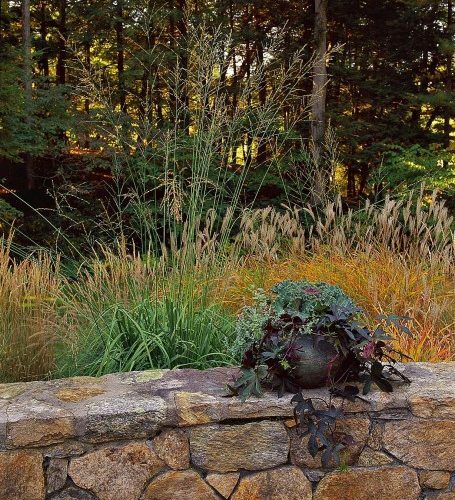 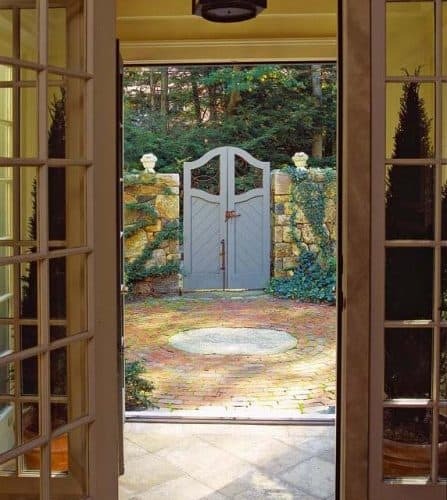 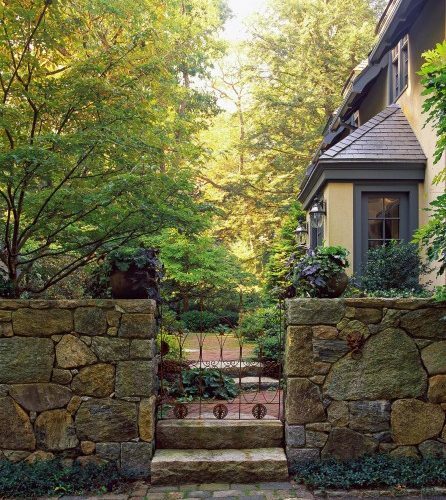 When a Tuscan-inspired addition was put on this 1920’s stucco house set on a wooded lot alongside a pond, JMMDS was asked to redesign the landscape. 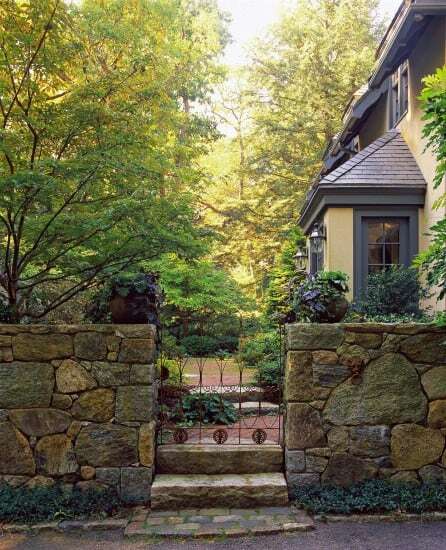 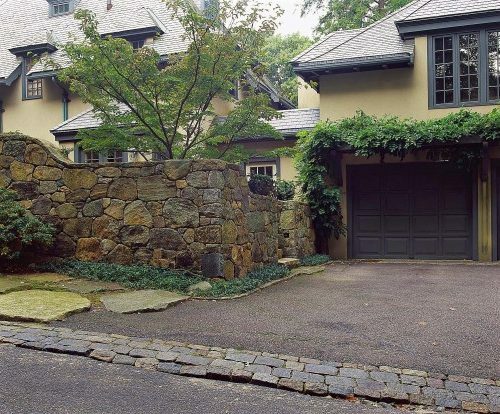 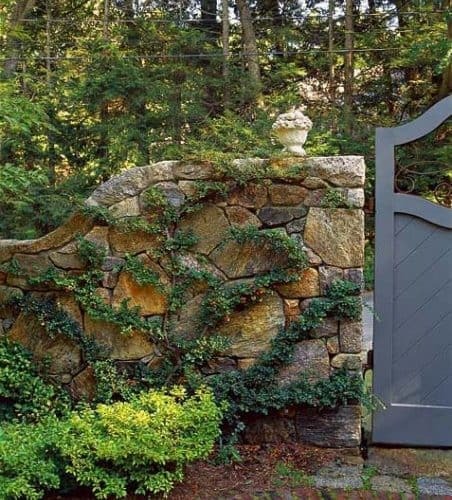 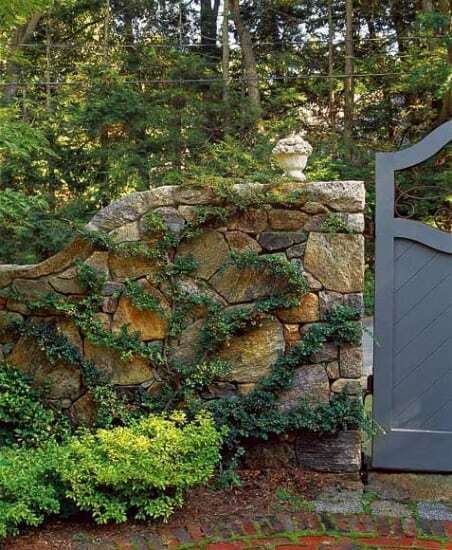 An old wall was extended to enclose the front of the house, creating a stone court at the front door. 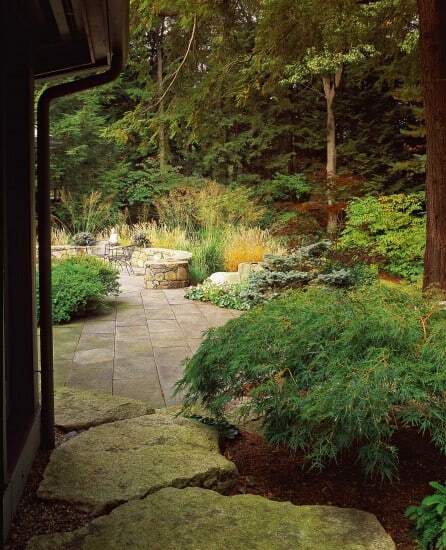 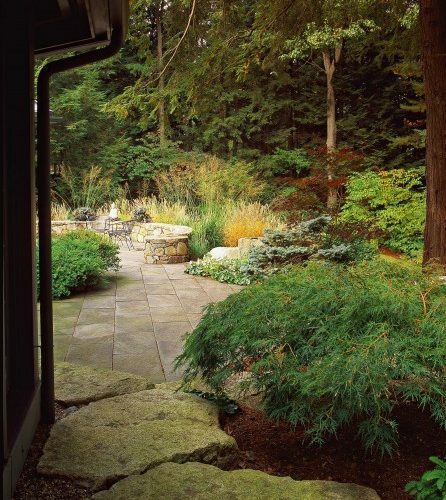 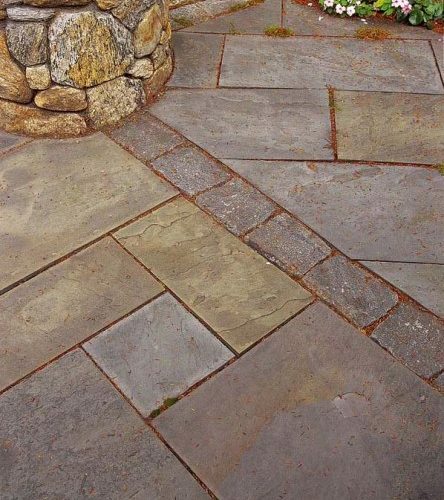 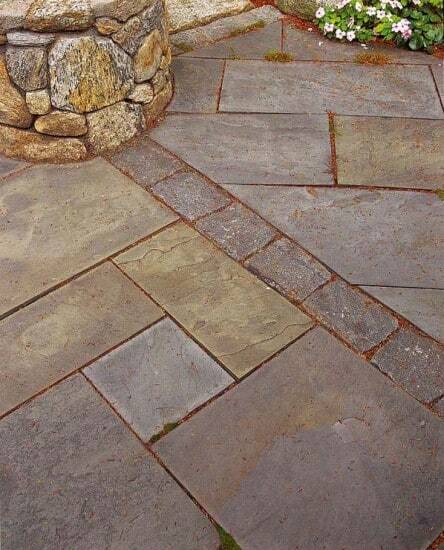 A stepping stone path wound through an herb and vegetable garden to several terraced overlooks for entertaining. 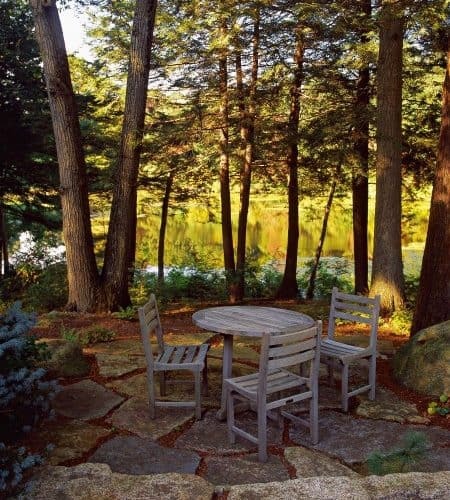 Facing the pond is a rustic stone breakfast terrace. 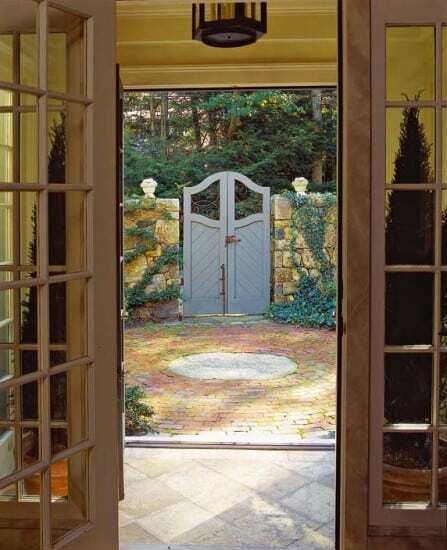 French doors open out towards the views, knitting inside to outside as a coherent whole.